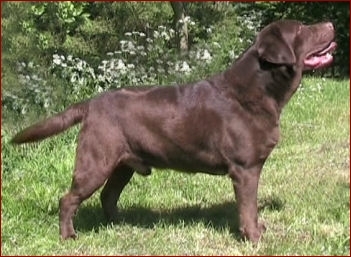 Chesney is from the famous Charway line, renowned for producing dogs of both show and working quality. He is an exceptionally intelligent, biddable dog of the larger type - a powerful chap with plenty of substance! Having sired some superb progeny over the years, he’s now enjoying a very happy retirement in a wonderful rural home.